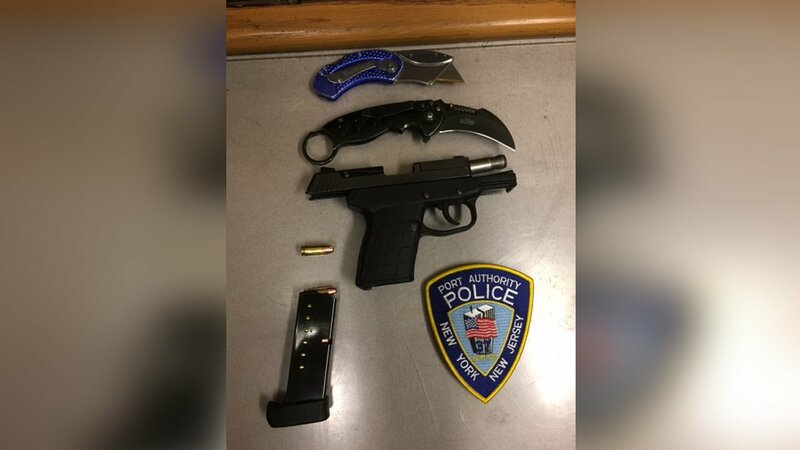 MIDTOWN, Manhattan (WABC) -- A 30-year-old Texas man caught with a gun outside the Port Authority Bus Terminal told police he came to New York to kill himself, authorities said. Amos Stowers was acting suspiciously with a second man on West 41st Street at around 4:30 p.m. Monday when a Port Authority Police officer came to investigate. He smelled marijuana and questioned both men. Stowers said he had a boxcutter and a switchblade, according to police, then said, "I have a gun in my bag. Be careful -- it has no safety." A Cal Tec 9 mm pistol, loaded with nine hollow-point bullets was recovered. 106 rounds were also found in his bag, as well as burglar tools. Stowers was charged with third and fourth-degree criminal possession of a weapon and trespass. He told Port Authority Police that he "came to New York to kill myself. I tried to do it last night, but I could not." He is also wanted on a felony assault warrant out of Sioux City, Iowa.